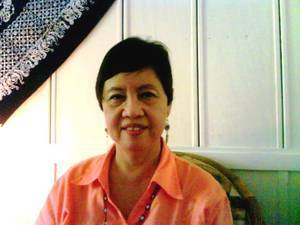 Prof. Dr. Muriel Orevillo-Montenegro currently teaches theology and religious studies at Silliman University Divinity School in Dumaguete City, Philippines. She first joined the faculty of the seminary as a teacher of Christian Education and Liturgy. Before she joined the academia, she served as administrator of a non-government organization that focused on development programs for and with women and children in the urban poor areas of Dumaguete. She has served as youth worker and lay pastor of the United Church of Christ in the Philippines and is an active member of the Association of Women in Theology (AWIT). She has published several theological articles for international circulation. She finished her S.T.M. and Ph.D. at Union Theological Seminary in New York City. To honor the theological efforts of Asian women, she wrote the book The Jesus of Asian Women by Orbis Books. At present, she serves as the first woman Dean of Silliman University Divinity School and serves as interim Director of the Justice and Peace Center of Silliman University.